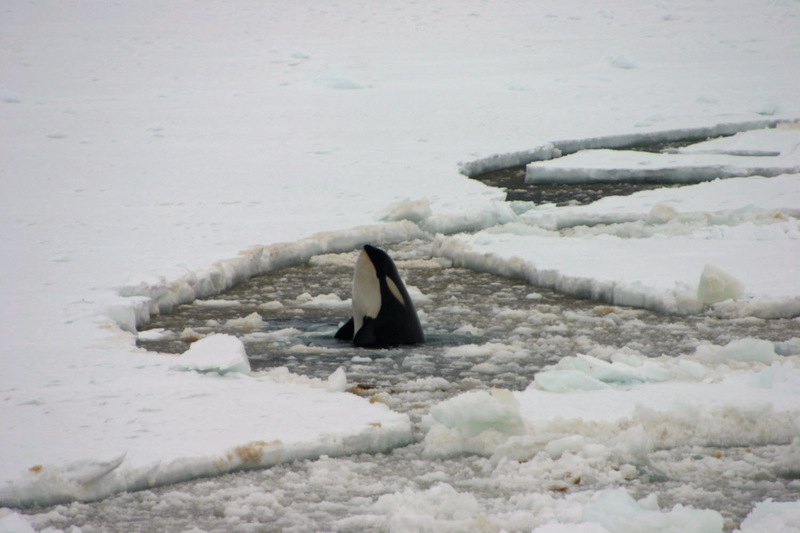 Killer whales or Orca's (a name which seems to be gaining in popularity, possibly because it sounds friendlier than "killer" - then again, what doesn't) can be seen exhibiting this spyhopping behaviour in pack ice. They are doing it to see if there are any seals or penguins on the ice that they can have for dinner. If there are, they may hang around waiting for them to enter the water, or they may try to tip them in by lifting the ice if it's small enough, or by producing a wash of water by "charging" at the ice - see video below.